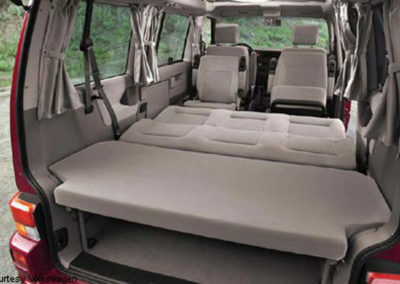 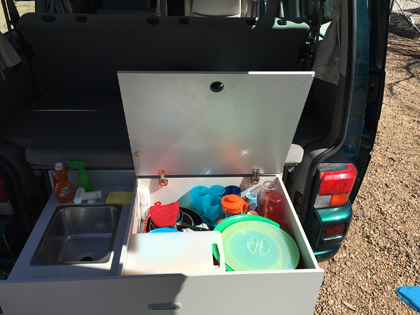 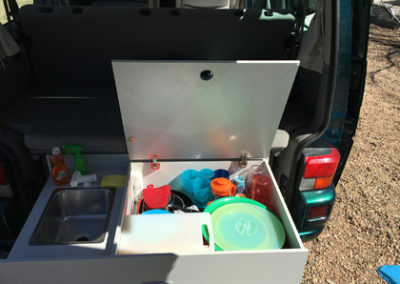 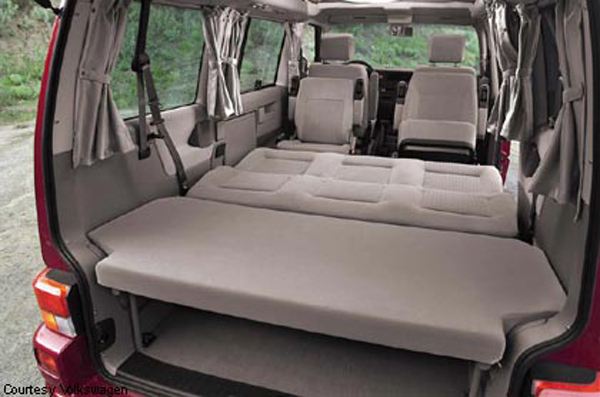 Eurovan tin tops with weekender interiors are available for rent from year round. 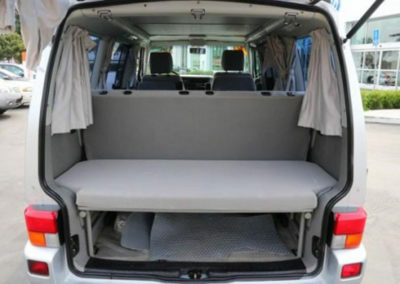 These vans are a modern member of our fleet, is the great alternative for smaller groups. 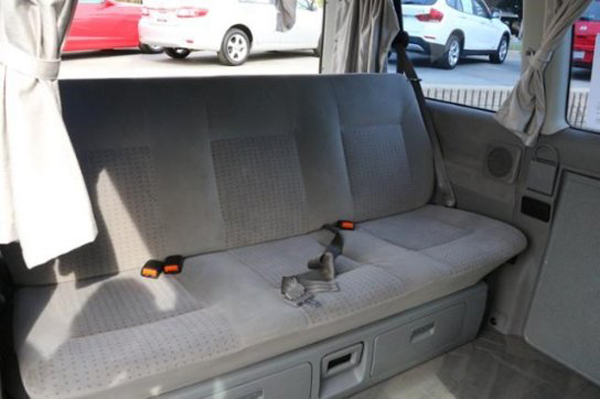 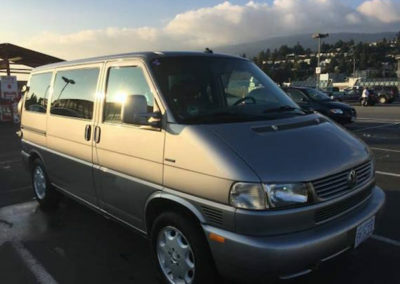 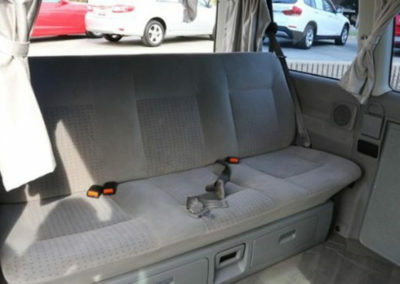 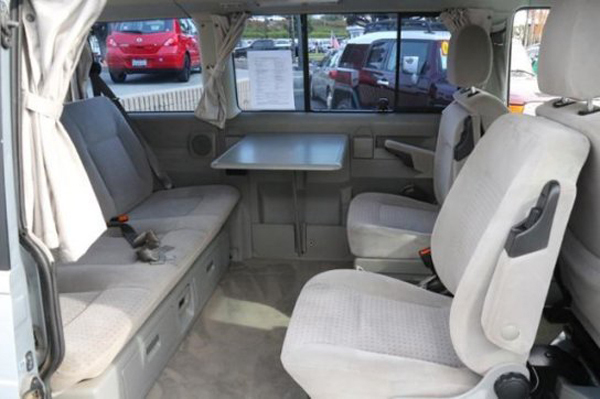 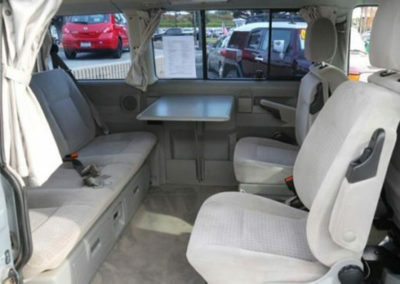 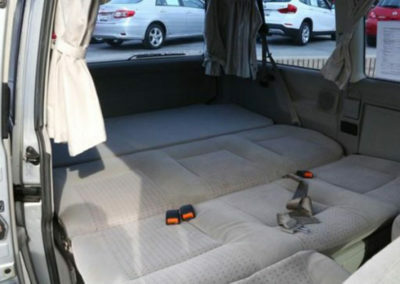 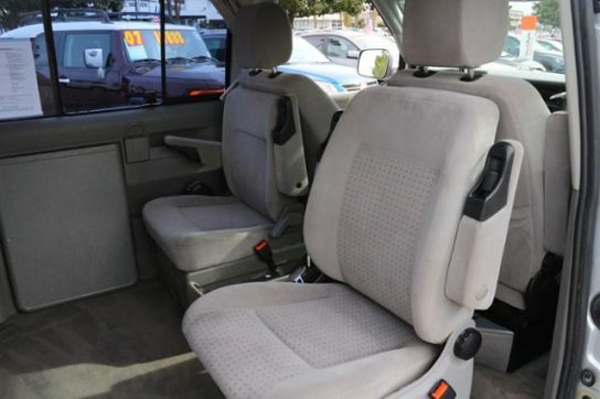 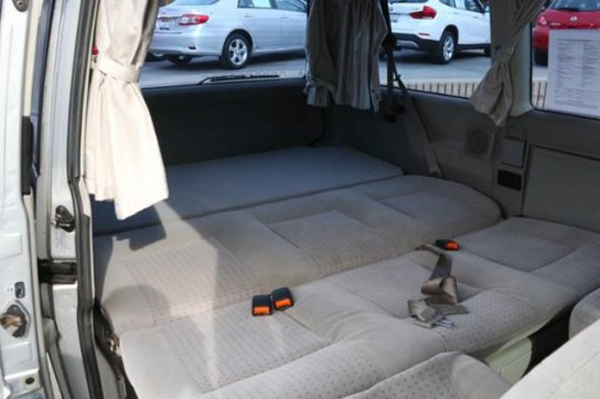 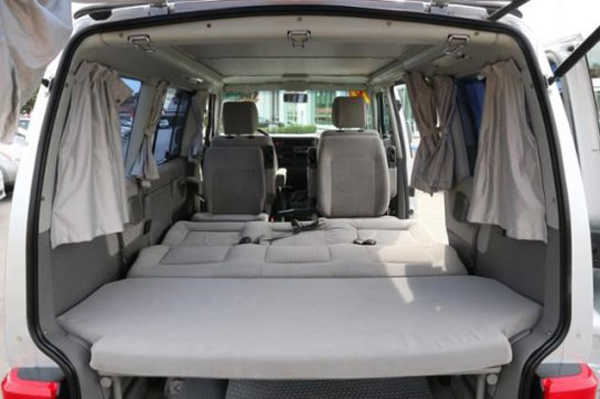 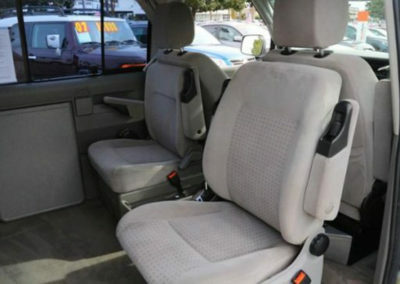 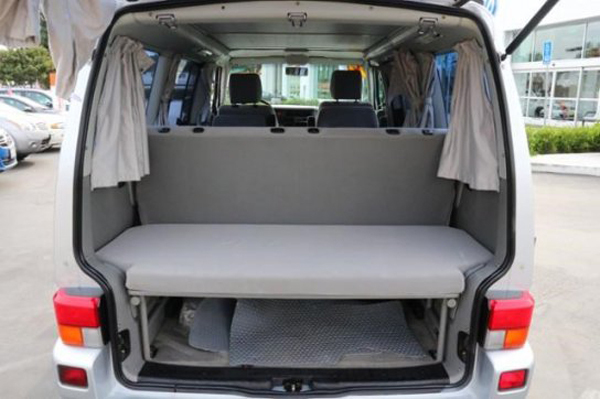 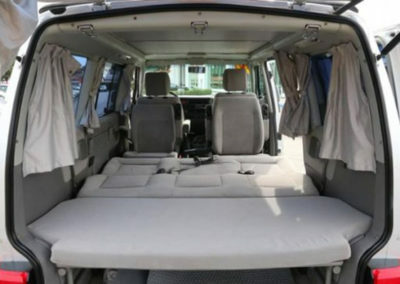 It seats up to 7, has plenty of ventilation for the warm summer months, airbags, anti-lock brakes, and room for 2 to sleep. 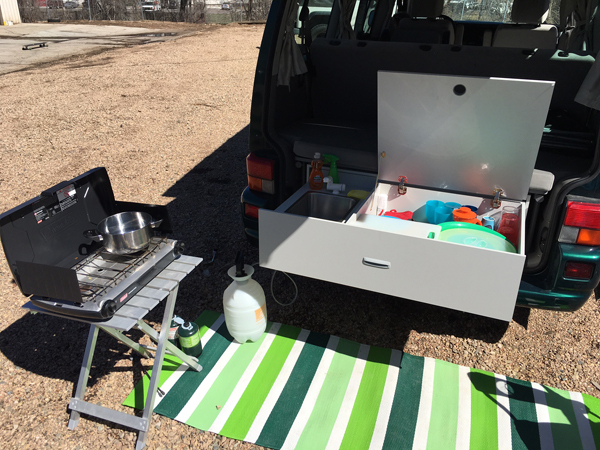 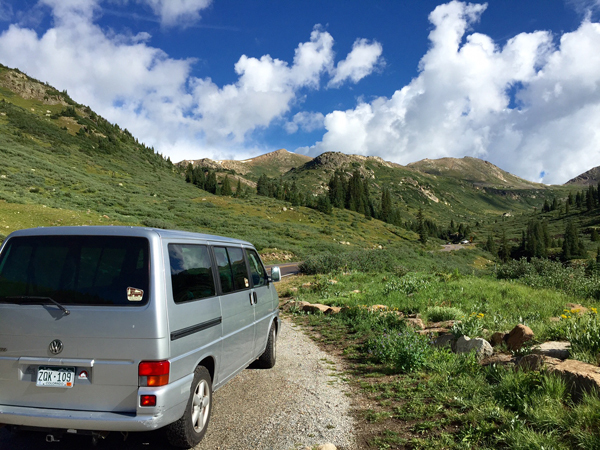 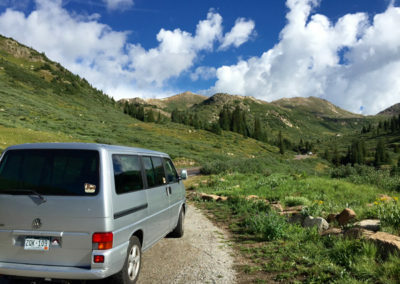 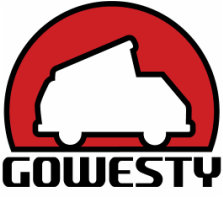 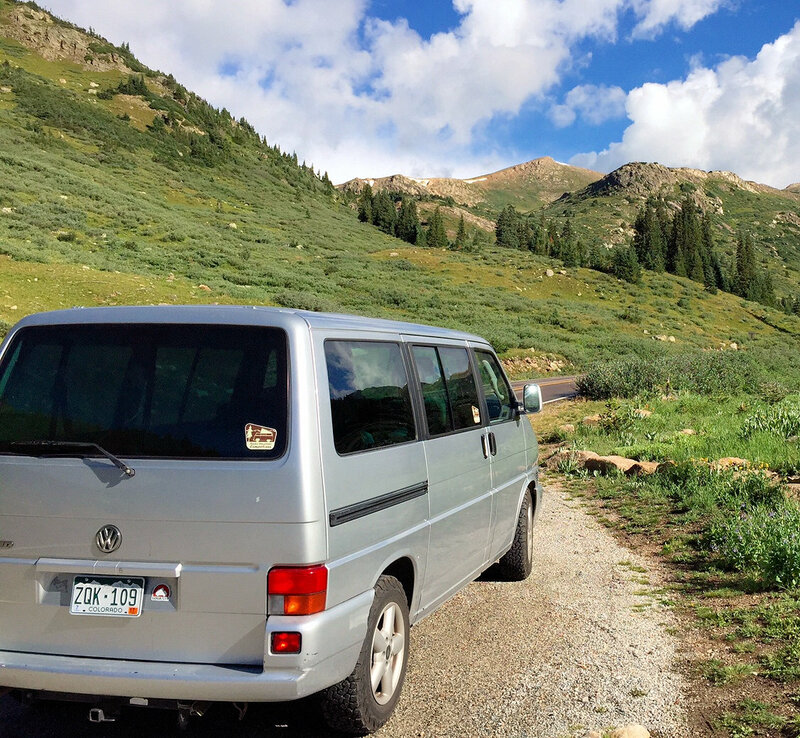 The nightly rental rate includes everything we pack in our campers as well as a portable 2 burner stove, propane, cooler or 12v fridge, refillable water jugs, a solar shower, and a custom built in sink + storage.